Discussion in 'South East U.S.' started by Murph, Apr 10, 2014. Starting a place for all Tennessee 4Runner owners to be able to get together on the forum and on the trail. I'm Jamie from Smyrna. I have a 2001 T4R Limited 4WDwith OME lift (Bilsteins in the rear), Shrockworks front bumper with PIAA 510 lights, Superwinch Talon 9.5SR with a Factor55 ProLink, Budbuilt skids, Stubbs SKO sliders, Cooper Discoverer STT (265s), Cobra 19 installed in the ashtray slot, homemade $10 HiLift jack mount on the stock roof rack, onboard air via CO2 tank, and a 3rd row bucket for the 4th youngin. WallyT4R, scottalot, GoXplore and 1 other person like this. Hi I'm John from Nashville. 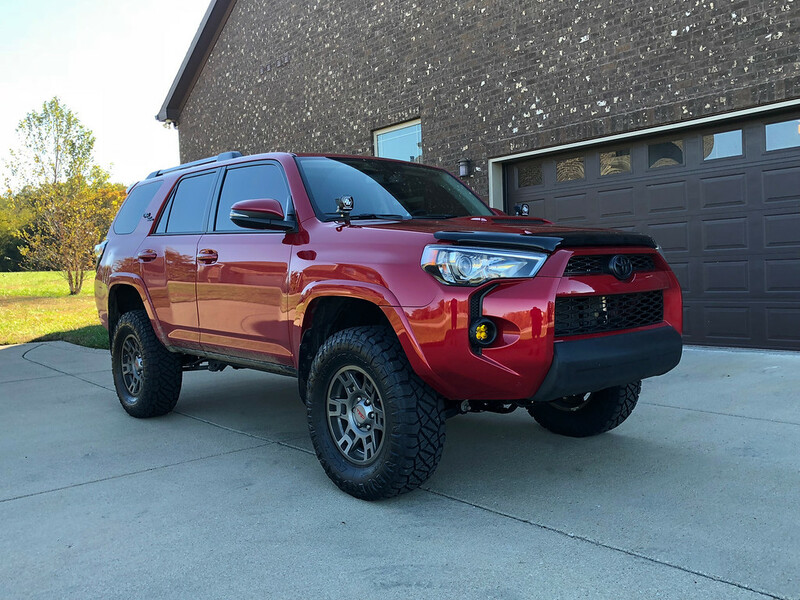 I have a 2012 Toyota 4Runner Trail Edition with KDSS with Icon stage 2 Extended Travel suspension, Metal Tech Lower Links, BudBuilt full skids and bumpout non-beefy sliders. WallyT4R, GoXplore and scottalot like this. I'm Mohit from Hendersonville. Just bought a 2018 Sr5 premium 4x4. All stock for now! Hey! David here. I'm in Thompson's Station. This is our 2018 Off-Road. How did you guys do with the weather last night? @Murph it looked like the Smyrna and Christiana areas got it worse than we did in Thompson's Station. We had a confirmed tornado sighting near us but it stayed to the west and north, thankfully. Thankfully flew right by us. No damage in the Hendersonville-Gallatin area.